EFree's New Solar Materials project, led by EFree Associate Director Tim Strobel, is featured in the Autumn edition of the Energy Frontiers Research Centers' newsletter. 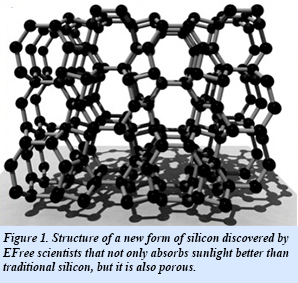 The article, "Powering the Future with Solar Energy," details the work of EFree scientists in areas of high temperature and pressure research for the synthesis of new solar materials. The work was also recently highlighted by the Office of Science User Facilities at the Advanced Photon Source.